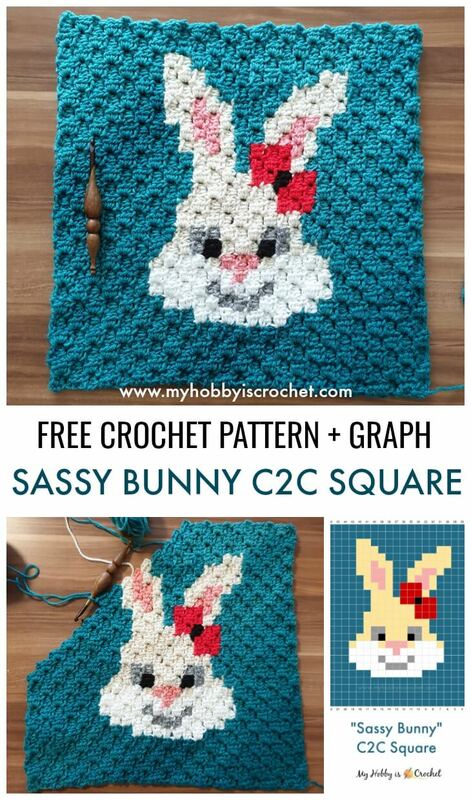 The "Sassy Bunny" is the first C2C square in my Animal C2C series. 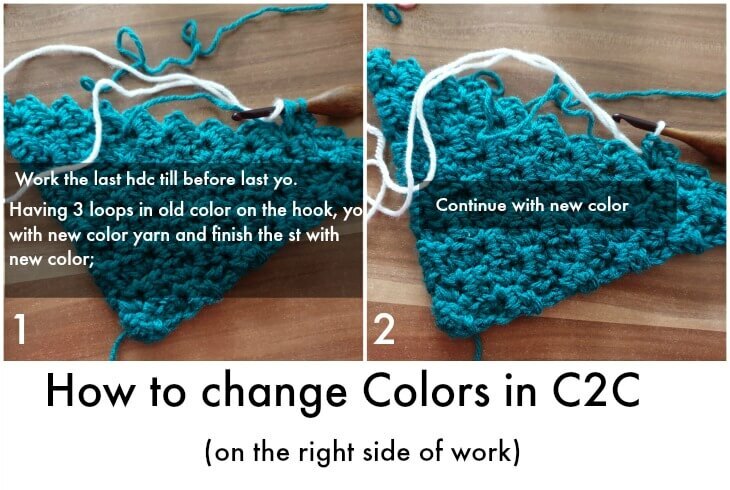 You can use these C2C squares in several ways. They have the perfect size to make a pillow cover for a 16 inches X 16 inches decorative/ trow pillow. 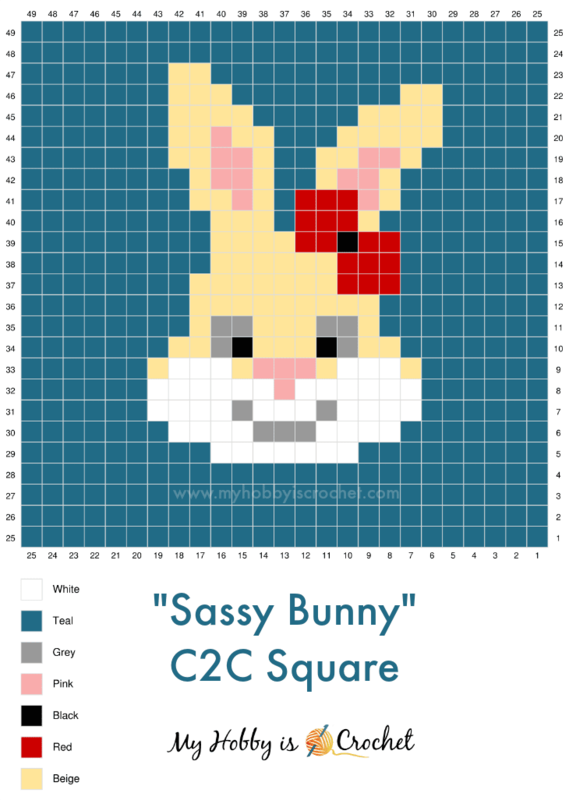 In my next blog post, I will show you how to use the Sassy Bunny Square to make a Removable C2C Pillow Case. 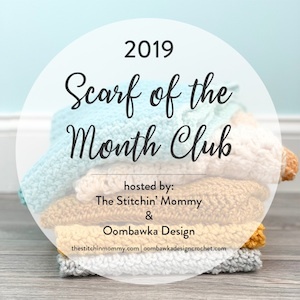 You can also join several Animal C2C squares together and make various items like baby / toddler blankets or any other decorative item. 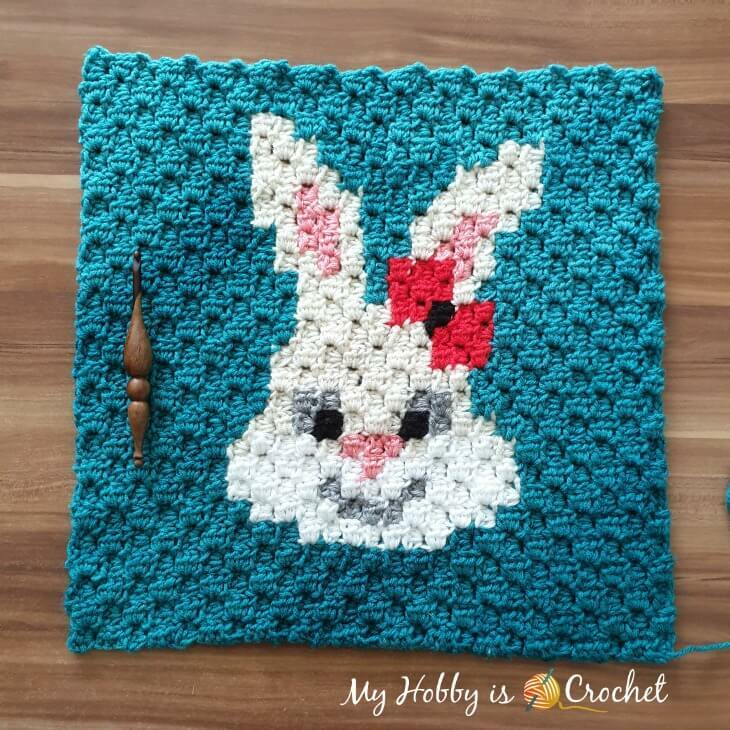 The Sassy Bunny C2C square is very special to me because it is based on my childhood memories and it is dedicated to my mom who passed away a few years ago. I tried to recreate in pixel art the bunny heads we used to draw together to decorate Easter eggs. I hope that you will love it as much as I do! 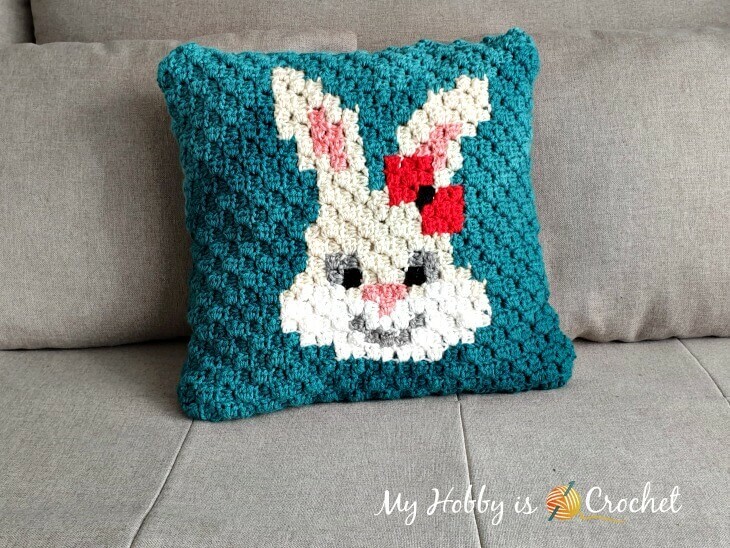 This pattern includes basic instructions for the hdc corner to corner box stitch, Graph for the Bunny C2C and also row by row written instructions for color counts. The Pattern is worked using the diagonal box stitch (C2C) in hdc (half double crochet). You will work the C2C piece on the diagonal starting from bottom right corner to top left. 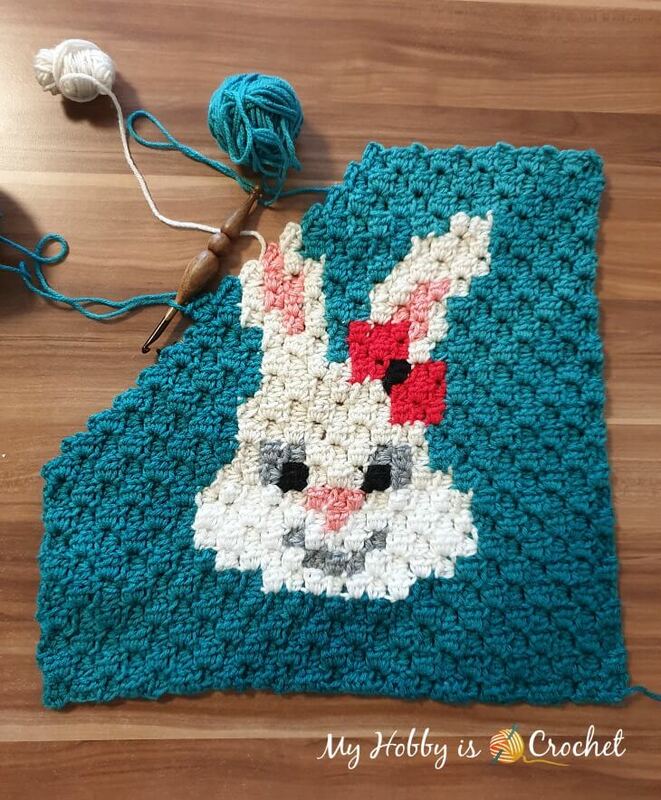 To make this square, I have combined Red Heart Super Saver with Red Heart Soft for the Bunny Head, but you can use Super Saver yarn for the whole square, see my suggestions below. 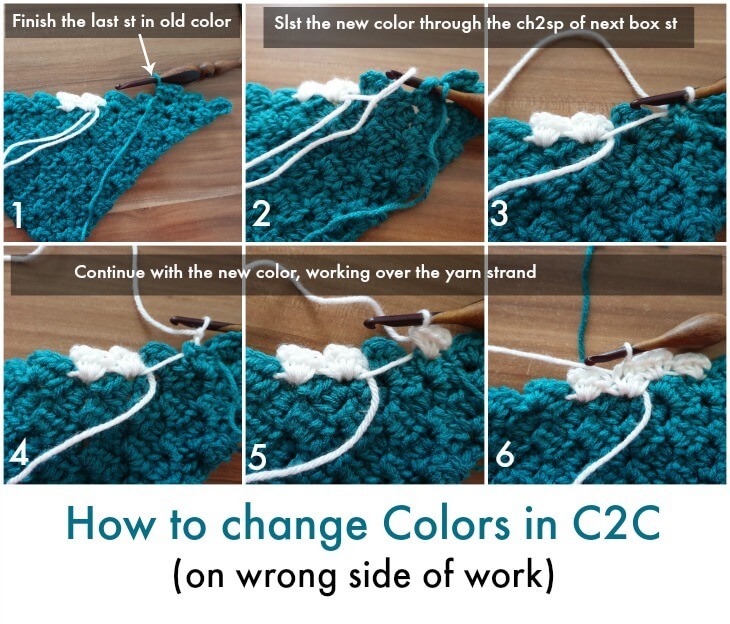 Let’s see how to crochet a square with the hdc box stitch and C2C Method! *sk the 3 hdc of next box st and slst into the ch2sp at left of that box st, ch 2, work 3 hdc into same ch2sp, rep from * till you reach to the last box st of previous row. Join with slst to ch2sp of last block st from previous round. Next Decrease Rows : Decrease each row 1 box st as written above until you get to 1 box st by last row. Work with bobbins or several small yarn balls. Only strand the yarns at the back over small sections and work over the small strands. and always place the old color to your right, so that the yarns do not tangle each other. Tug the yarns tight and continue with new color; sl st to the next box st. When you need to pick up new yarn coming from left, finish the st in old color, then slst with new color through the ch2sp of next box st. Tug the yarns tight and continue with new color. Note: There are some places where you need to take extra care with the colors, for example when making the eyes with black and the left mouth corner. You might need to stitch over after finishing. This graph is my own creation, made in Stitch Fiddle! That is the most adorable C2C animal I've seen yet. I'm saving it for a future project. Thank you! And I'll have to check out your pillow cover post--I've had a C2C piece done and waiting for me to make it into a pillow for almost two years! Thanks again.